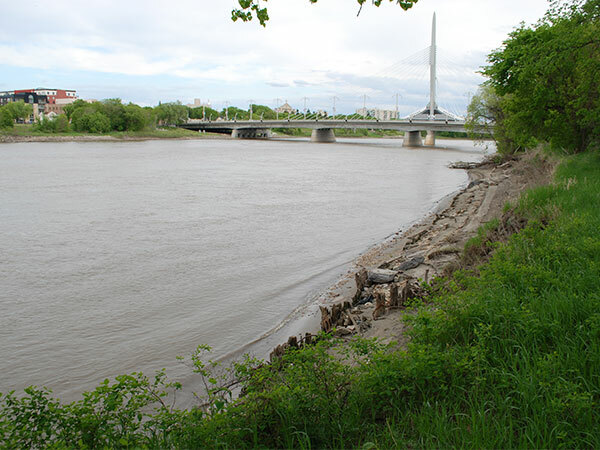 This site along the Red River in Winnipeg was formerly an active part of local marine industry, with the shore used as a shipyard. In 1910, the Eli Sand Company laid down the self-propelled SS Rosamond Billett at this location, with additional vessels following in the coming years. The following year, the newly-formed Lake Winnipeg Shipping Company (LWSC) built a lengthy dock and, two years later, expanded it by 475 feet. The LWSC used its fleet of tugs, barges, and other steamships to haul a wide range of natural resources from sites around Lake Winnipeg via the newly-opened St. Andrews Lock. The proximity of these docks to rail lines, local building construction, and industrial and commercial development proved effective. Commercial activity at this location ceased in little more than a decade. 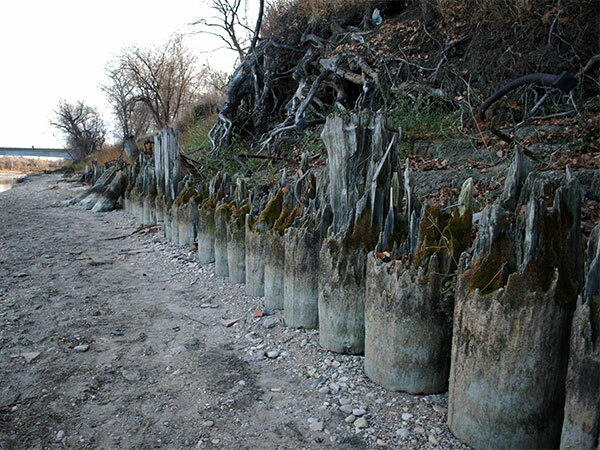 All that remains of the former dock are wooden piers that are visible only when water levels are low. Source: Winnipeg Tribune, 29 July 1911, page 13. 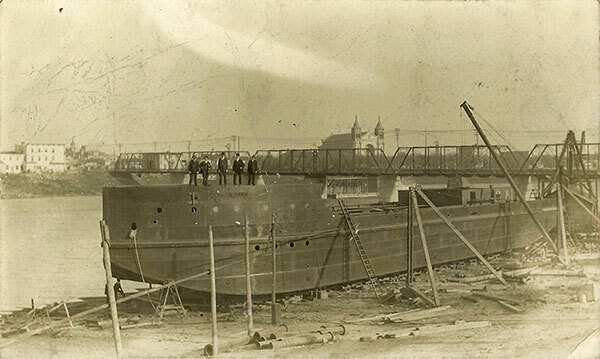 “New steel boat for Eli Sand Co., at foot of Water Street [photo caption],” Manitoba Free Press, 10 September 1910, page 29. “Notice - in the matter of the Navigable Waters Protection,” Manitoba Free Press, 28 January 1911, page 6. “Winnipeg river front is now a scene of animation [photo caption],” Winnipeg Tribune, 29 July 1911, page 13. “Would build wharf,” Winnipeg Tribune, 29 February 1912, page 8. “Traffic on Red and Assiniboine,” Winnipeg Tribune, 6 July 1912, page 1. 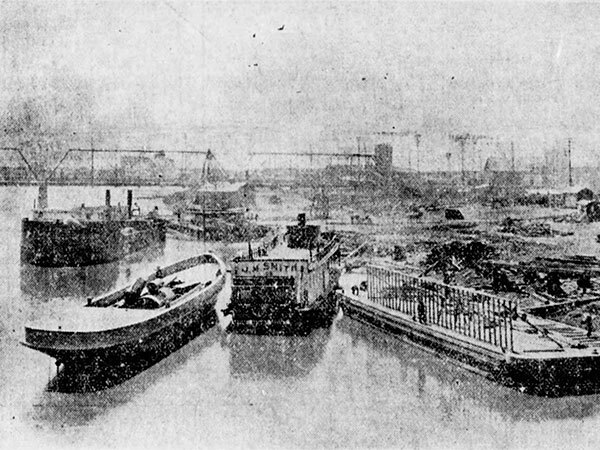 “Red River boats ready for winter,” Winnipeg Tribune, 25 October 1912, page 3. “Extend dockage,” Manitoba Free Press, 2 June 1913, page 24.